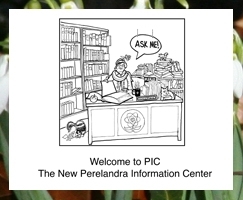 PIC Booklet - Perelandra Ltd.
We invite you to enter PIC — it's open 24/7 — and learn about what PIC offers and how to use its services to enhance your life in every conceivable way. To say that with PIC the sky is the limit is an understatement. There's no registration fee, membership or purchase requirements. You don't even have to travel to get to PIC. It's there to serve you no matter where you are and any time you'd like. All you have to do is come on in and enjoy this new world. 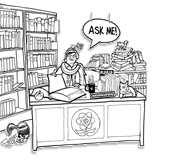 Just click on your friendly PIC librarian and learn all about it! The PIC Brochure with complete instructions is available free online HERE.